Maybe you forgot to send little Joey off in his own hermetically sealed bubble, or you are pretty sure he will trade it for his BFF’s retainer (because it makes him feel like a Transformer when he pops it in). Perhaps, the first day of school snuck up on you and you didn’t have time to figure out how he was going to breathe in his bubble? As parents we can be - anxious - about the school environment. We completely understand and can smell your fear. So we put together this uber-crunchy & effective, hand spray recipe and quick, how-to video just for you. Why? ...you can’t carry your blacklight everywhere. ...the substitute school bus driver is 1-degree left of a carnie. ...the only thing funnier than picking his own boogers is picking his buddies’. ...other Moms don’t keep their kids home when they’re sick. ...her gum fell into the toilet - but she got it, don’t worry. ...school toilet paper is barely one-ply. ...you know he doesn’t wash his hands (he barely washes his hands when you’re standing there). ...you can’t keep them in a bubble forever (you’ve checked into it). ...you aren’t there to flush the public toilet with your foot. ...they found a dead mouse at recess. ...janitors clean tables with the same rags they clean toilets with (Yes, they do!). ...that sucker they found under the slide still had flavor. ...someone left a condom on the playground Saturday night (Yes, they did!). ...everyone wants to try on Jimmy’s mouth guard. If any of these thoughts have ever entered your mind, you are definitely not alone. At the very least for some piece of mind we strongly suggest you throw together this quick recipe for our ‘Maybe You Touched POOP Hand Spray’. This essential oil based hand spray is a completely natural, non-toxic alternative to hand sanitizers that contain harsh and often toxic chemicals such as triclosan, which also contributes to the ever increasing antibiotic resistance problem. You can read more about the hidden dangers of common hand sanitizer ingredients HERE. Aziza Kamal Genena, Haiko Hense, Artur Smania, Simone Machado de Souza. Rosemary (Rosmarinus officinalis) – a study of the composition, antioxidant and antimicrobial activities of extracts obtained with supercritical carbon dioxide. Long M, Tao S, Rojo de la Vega M, et al. Nrf2-dependent suppression of azoxymethane/dextran sulfate sodium-induced colon carcinogenesis by the cinnamon-derived dietary factor cinnamaldehyde. Cancer Prev Res (Phila). 2015;8(5):444-454. Kara M, Uslu S, Demirci F, Temel HE, Baydemir C. Supplemental carvacrol can reduce the severity of inflammation by influencing the production of mediators of inflammation. Iwamatsu T, Miyamoto D, Mitsuno H, et al. Identification of repellent odorants to the body louse, Pediculus humanus corporis, in clove essential oil. Santin JR, Lemos M, Klein-Júnior LC, et al. Gastroprotective activity of essential oil of the Syzygium aromaticum and its major component eugenol in different animal models. Cal K, Sopala M. Tremendous ex vivo child skin absorption and permeation of eucalyptol. The CDC says: “Feces (poop) from people or animals is an important source of germs like Salmonella, E. coli O157, and norovirus that cause diarrhea, and it can spread some respiratory infections like adenovirus and hand-foot-mouth disease.” (Btw, not being limber enough to put your foot in your mouth does not protect you from “hand-foot-mouth disease”, although a lot of kids are). Our favorite essential oil hand spray recipe is based off of Dr Rosen’s (integrative pediatrician and co-author of Treatment Alternatives for Children) ‘DIY natural hand sanitizer’. You can read more about Dr Rosen HERE. Start with a 2 ounce spray bottle. Fill it about ¾ full with water. Add 1 TBSP of aloe vera gel. 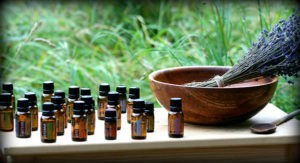 Add 10 drops of our **Immunity Blend of essential oils. Put the top back on the spray bottle and shake until mixed thoroughly. Spray two or three times on your hands and rub together. 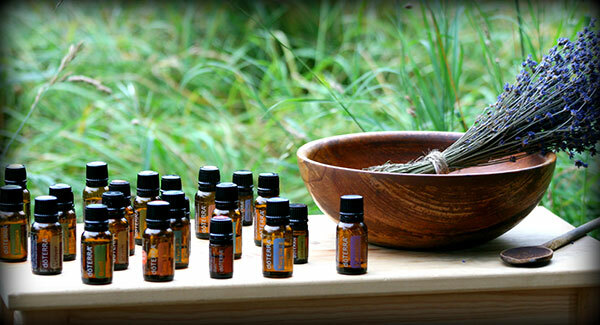 5 drops each of cinnamon, clove, rosemary and eucalyptus essential oils. 10 drops of either lemon, wild orange or grapefruit essential oil – your preferred aroma. For those of you looking for a deep dive on just about everything to do with essential oils, here is Organic Daily Post's Ultimate Guide to Essential Oils.